New phone + G-market ~ Journal of a dreamer. It's been a month since I have last blogged, so here I am now. To be honest, I don't really have much to blog about but I do want to record down my first time doing online shopping and me finally getting myself a new phone. The very classy black box. It looks a lot like a jewellery box. 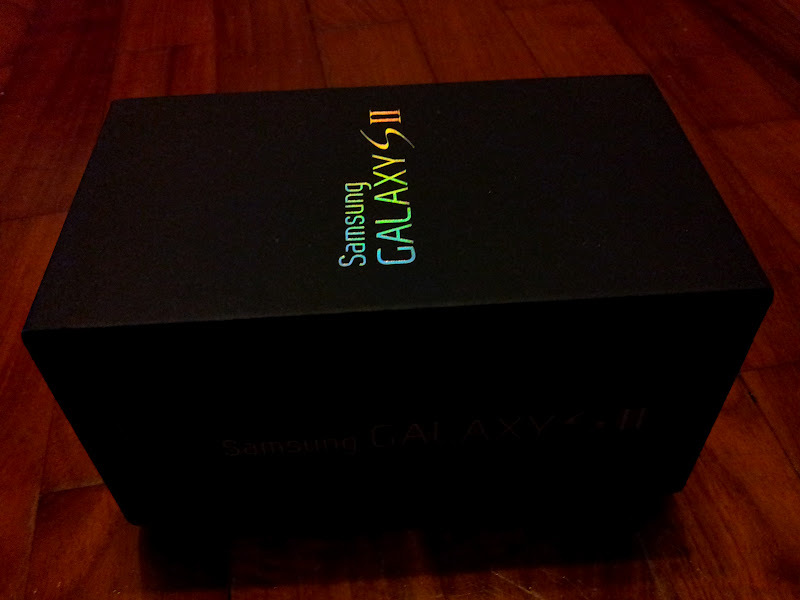 The Samsung Galaxy S2 has caught my eye ever since it debuted. In fact, I am really a sucker for Samsung products, to the point that I have been using Sammy phones ever since my brain permits me to remember (I've only used a Nokia and a Motorola and have been stuck with Sammy since then). So here I am now, typing this blog post with my phone. It has really been such a joy to use. In fact, I think I'm just meant to be with the S2. I remembered asking my mum whether I could get it, but her answer was in the negative because it was really expensive. She remained firm on her stance even though she liked it and finally, she relented a few weeks back. When we were at the handphone shop, she asked me if I wanted to get the Galaxy Note LOL! I was shocked beyond words because the Note was about $150 more expensive (with the $39 plan) and it was because of the price that my mum didn't allow me to get the S2 in the first place. My products from G-market. They cost about $44 altogether. A friend told me that G-market sold cheap handphone covers, so I decided to take a look to find covers for my S2. This is my first time shopping online, which I didn't do so the past years because I don't think I had my own bank account LOL (or rather, I didn't know the existence of it haha). I ended up buying many other things as well, like skincare products from South Korea, which are really much cheaper than what you find in the Korean cosmetic stores here.